Community vegetable growers in Flintshire are opening their doors to new members and helping their community eat fresh, organically-grown food. 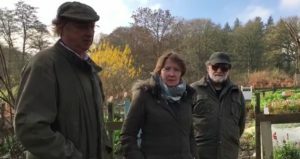 Based at their sites at Cilcain, Northop, and Hawarden, FlintShare, which has been running since 2010, is a community-run social enterprise that gives members the chance to grow their own vegetables and fruit together. Comprising learner and experienced growers, the group produces a wide range of traditional crops, keeps bees for honey, grows willow for basket–making, runs workshops, and enjoys varied social events. Members can use either their work in the gardens, or simply cash, to buy their produce as part of an innovative Veg Account Scheme. As well as more traditional produce, FlintShare trials more unusual fruit and veg such as Peruvian ground apple, mashua, oca, and achocha. Other interesting varieties grown include tromboncino, chicory root, and Hamburg parsley. FlintShare sends out a fortnightly newsletter to keep members informed. The group also hopes to produce a recipe book for healthy and delicious vegetable and fruit meals. “We are a group of like-minded people who are producing food together. We enjoy growing, learning, sharing ideas, and celebrating food as a community. We also get to eat very fresh, tasty local food—often together! “Everyone is welcome to join us, no matter what their knowledge, ability, age, gender, or cultural background. We are a mix of learners and experienced growers, so there’s always someone to help out—you don’t have to know much about gardening to be a FlintShare member. We just ask that you join in and enjoy it! “We use organic growing methods and cultivate with respect for our environment. We try to interfere with the natural processes on our sites as little as possible, which has the added bonus of not too much digging! And we always prefer to use on-site resources if we can, rather than buy them. FlintShare has several large polytunnels at its Northop site enabling it to cultivate tender crops such as melons, peaches, aubergines, peppers, chillies, and tomatoes. The Hawarden site has raised beds, which makes gardening accessible for people with mobility problems. The Cilcain site lies within the Clwydian Hills AONB and provides the bulk of the outdoor crops. 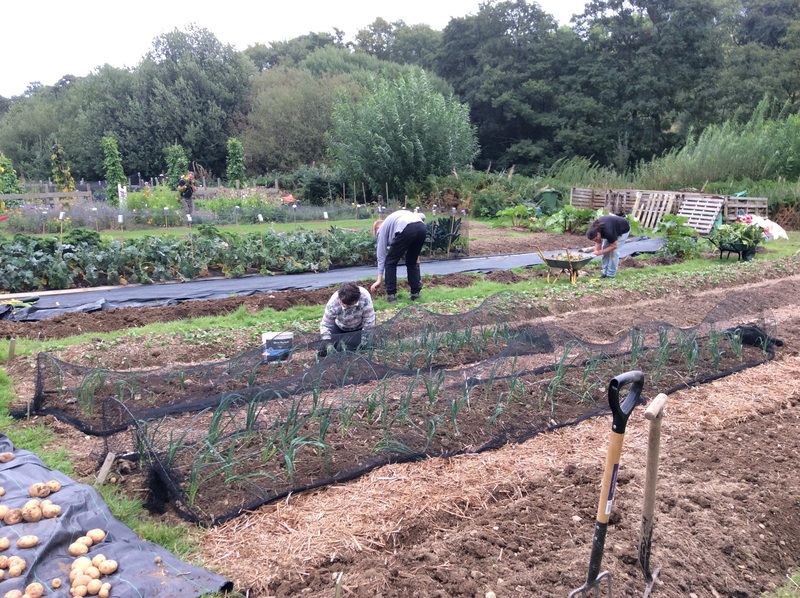 Saturday ‘hubs’ rotate between the three sites to gather harvested vegetables and fruit for members to collect if they are not able to crop from the sites themselves. Members typically meet on Tuesdays at Cilcain, Wednesdays at Northop, and, currently, Thursday mornings at Hawarden. Tea and coffee are always on the go, often accompanied by cakes and buns! New members are always most welcome, as are interested people who would like to look round and learn more.